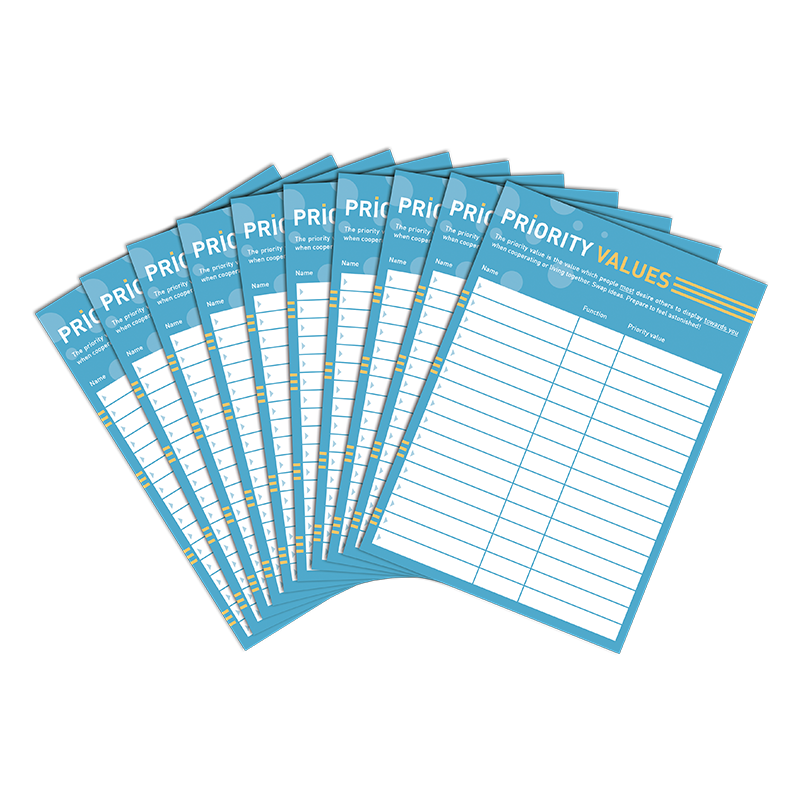 Write down the priority values of colleagues, superiors and customers and carry them with you. Can be used on their own or as an expansion and addition to the Pocket Guide. Sales unit: 10 pcs. size A6, double-sided sales unit: 10 pcs.